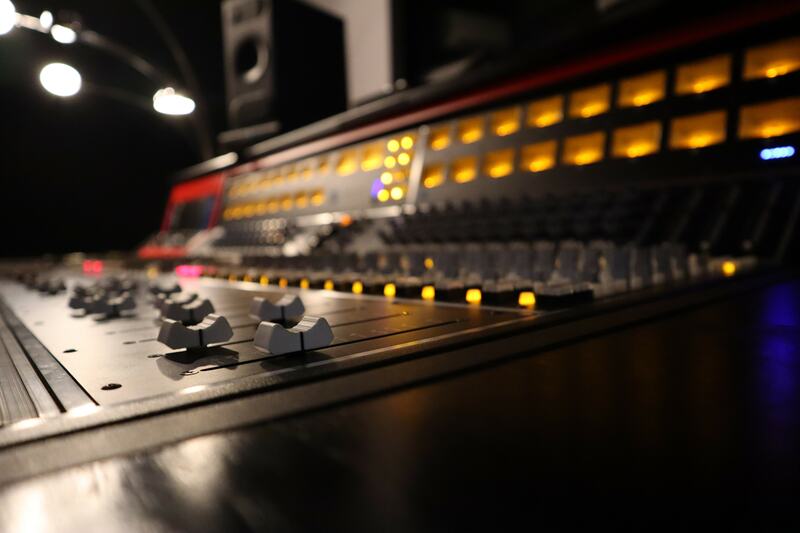 Upon graduating this course you will be musically and technologically proficient and able to operate professionally in a diversity of audio production roles and environments. Our course content is delivered in a unique, practical learning environment where you will complete hands-on activities under direct supervision of our industry professional staff. As a student, you will have access to highly specialized workstations before, during and after class. Supervisors are available on site to provide learning support outside of classroom hours. The first trimester (Period One) focuses on developing the fundamentals, and will introduce the tools, platforms and theory you will encounter in your production career. The following opening subjects of your diploma ensure a strong foundation of knowledge for the basis of future studies. We ensure each module is crafted to ensure relevance to todays industry, while still treasuring the history of Abbey Road. Studying our Advanced Diploma of Music Industry (Period One) will ensure your future as one of the worlds respected members of the Abbey Road Institute community. This module introduces the development of music production techniques as utilised on iconic recordings. 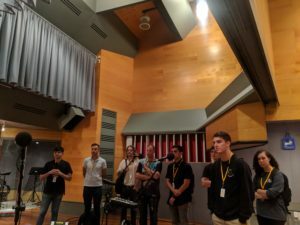 You will develop critical listening skills and the ability to analyse and deconstruct all variety of musical recordings, identifying composition form, arrangement and instrumentation; in addition to learning project planning, pre-production activities and production techniques. The opening subjects of your diploma ensure a strong foundation of knowledge for the basis of future studies. We ensure each module is crafted to ensure relevance to todays industry, while still treasuring the history of Abbey Road. Studying our Advanced Diploma of Music Industry (DMP102 – Audio Engineering / Acoustics) will ensure your future as one of the worlds respected members of the Abbey Road Institute community. This module introduces elements of sound theory, psychoacoustics and electronics. You will learn about metering in both analogue and digital environments, and develop critical listening skills by completing a series of ear training exercises throughout the term, in a supervised learning environment. You will complete a theoretical exam designed to test your understanding of the fundamental principles contained in this unit. The opening subjects of your diploma ensure a strong foundation of knowledge for the basis of future studies. We ensure each module is crafted to ensure relevance to todays industry, while still treasuring the history of Abbey Road. Studying our Advanced Diploma of Music Industry (DMP103 – Audio Engineering / Acoustics (Tools)) will ensure your future as one of the worlds respected members of the Abbey Road Institute community. This module introduces the studio as a production environment. 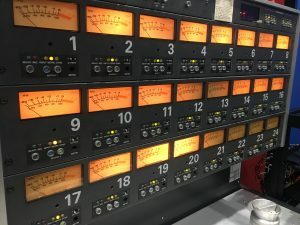 You will learn the theory behind equalisation, dynamic range and effects processors, and discuss the historical development and use of these devices at Abbey Road Studios. You will learn the proper use and application of each device using both hardware and software DAW plugins, and explore production techniques in both Pro Tools and Logic audio editing programs. The opening subjects of your diploma ensure a strong foundation of knowledge for the basis of future studies. We ensure each module is crafted to ensure relevance to todays industry, while still treasuring the history of Abbey Road. Studying our Advanced Diploma of Music Industry (DMP104 – Audio Engineering / Acoustics (DAW)) will ensure your future as one of the worlds respected members of the Abbey Road Institute community. 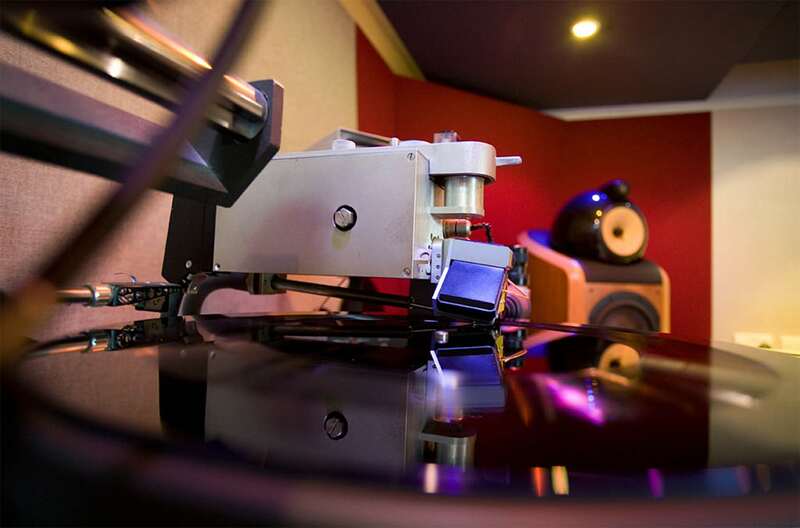 This module introduces DAW and the role it plays in the modern recording studio. You will use and explore Pro Tools and Logic audio editing programs through a series of practical activities and tutorials. You will examine the relationship between virtual instruments, traditional instruments and natural acoustic sound sources, and learn to construct musical compositions in the computer lab and studio based working environments. The second trimester (Period Two) will allow you to expand on your theoretical knowledge. You will creatively apply your skills, whilst completing a variety of assessment tasks. Assessments will feature music and synthesis composition and film soundtracks. Therefore the following subjects of your diploma ensure a sustained increase in knowledge for the basis of upcoming trimester three studies, the most advanced subjects within the diploma. We ensure each module is crafted to ensure relevance to todays industry, while still treasuring the history of Abbey Road. Studying our Advanced Diploma of Music Industry (Period Two) will ensure your future as one of the worlds respected members of the Abbey Road Institute community. The opening subjects of your diploma ensure a strong foundation of knowledge for the basis of future studies. We ensure each module is crafted to ensure relevance to todays industry, while still treasuring the history of Abbey Road. Studying our Advanced Diploma of Music Industry (DMP201 – Production / Music Theory) will ensure your future as one of the worlds respected members of the Abbey Road Institute community. This module introduces basic music theory, harmony and instrumental arrangements. You will learn to practically apply theoretical concepts to create compositions utilising a range of acoustic, pre-recorded and virtual instrumentation. You will also explore basic notation and transcription techniques. This module introduces analogue and digital audio theory. You will explore sound synthesis and sampling and apply compositional techniques to virtual instrumentation to create a variety of musical compositions. You will also discuss studio and control room acoustic principles. This module will develop your understanding of console operation and functionality, microphone applications and stereo techniques, and loudspeaker and amplifier setup and operation. This module will expand on your knowledge of DAW editing platforms. You will explore advanced functionality in ProTools and Logic with practical applications, and complete a variety of compositions within Ableton. You will discuss synchronisation techniques and transfer audio material from Ableton to ProTools for editing and mixdown. In trimester three the focus will be on developing your ‘soft skills’ (team leadership, artist management, group work) by completing larger and more complex productions in the studio environment. You will also learn about the business, management and legal aspects of the sound production industry. Music Theory introduces the advanced production and planning techniques required for conducting complex recording and mixing sessions. You will enhance your knowledge and understanding of project planning, session management and group work dynamics. Acoustics introduces post-production and film sound. You will learn to design, capture and edit elements such as foley, dialogue, sound effects and music to add the audio component to visual material. You will explore the history of film sound and analyse the sound aesthetics of a film of your choosing. You will also explore live sound production techniques. Legal introduces the legal aspects of the music industry. You will explore copyright and contractual law, and learn the art of negotiation, whilst completing a sample licensing agreement in consultation with industry stakeholders. The Management and Music Business module introduces the business related aspects of the music industry, emphasizing artist management and team work skills. You will complete a business plan for a new product in consultation with industry stakeholders. Education is more than a lecture. It is decades of experience from all corners of the globe brought together into a community of dedicated and passionate individuals joined together in journey to push the limits of creativity. This is what we aspire to every day at Abbey Road. Studying the past year at Abbey Road has been phenomenal. The teaching staff are top notch and I now have a community of people to draw on who are as obsessed with music as me. Abbey Road Institute gives students the head-start they need to succeed in today's industry. The facilities at Melbourne are second to none and it’s great to see students grow and be rewarded for their efforts.